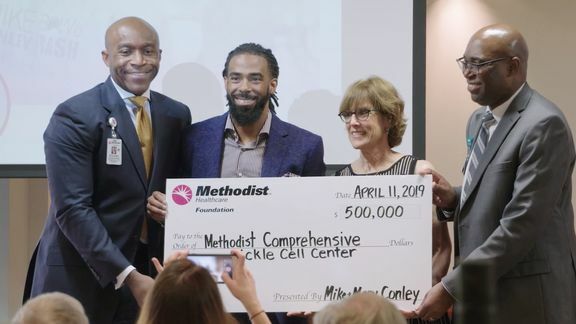 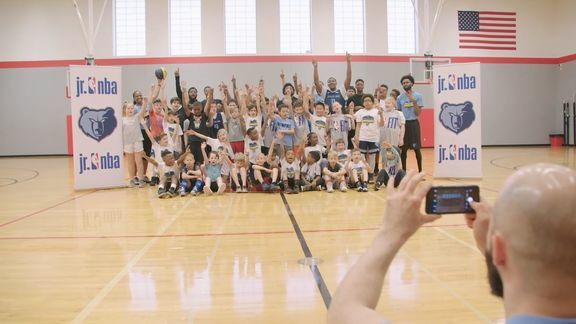 The Memphis Grizzlies are committed to making a difference in the lives of underserved families across the Mid-South region. 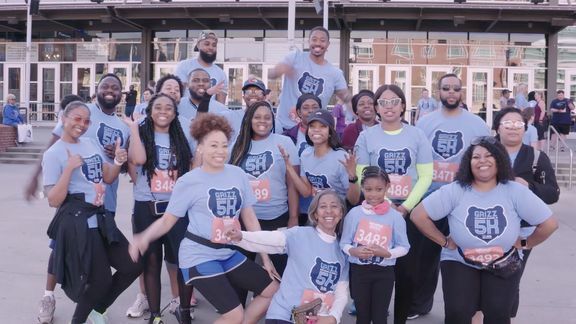 Our broad areas of support include education, health and fitness, youth development and volunteer engagement. 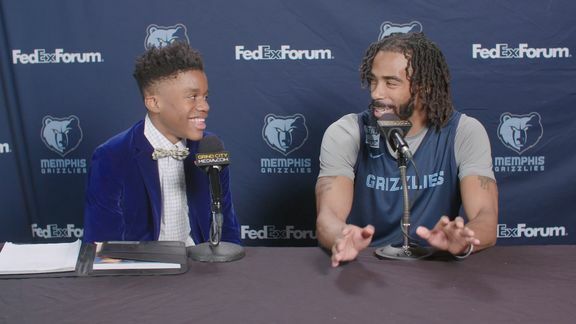 Go behind the scenes with Andre Fields, a student of the Memphis Grizzlies Preparatory Charter School, as he takes us through a day in the life of the Grizzlies Scholars Program, in partnership with Mid-South Ford Dealers. 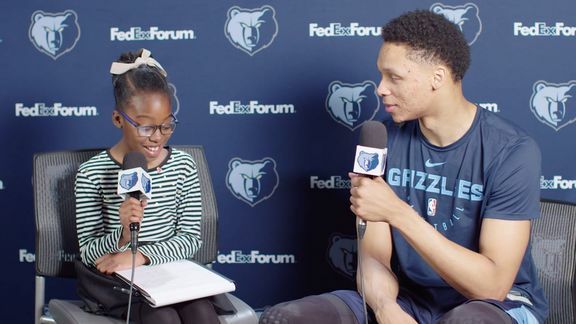 Take a look at aspiring broadcaster Kennedi as she conducted her first professional interview with the Memphis Grizzlies forward Ivan Rabb in this piece of Le Bonheur Jr. Broadcasters campaign. 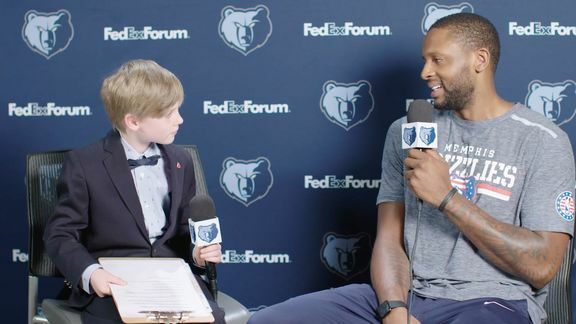 Watch as aspiring broadcaster Thomas, a patient from Le Bonheur Children’s Hospital conducted his first professional interview with the Grizzlies forward-guard CJ Miles. 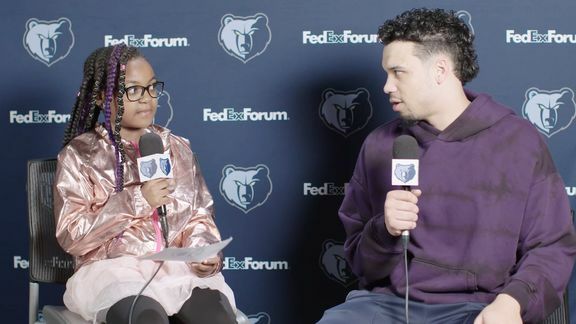 Take a look at aspiring broadcaster Khy as she conducted her first professional interview with the Memphis Grizzlies guard-forward Dillon Brooks in this segment of Le Bonheur Jr. Broadcasters campaign. 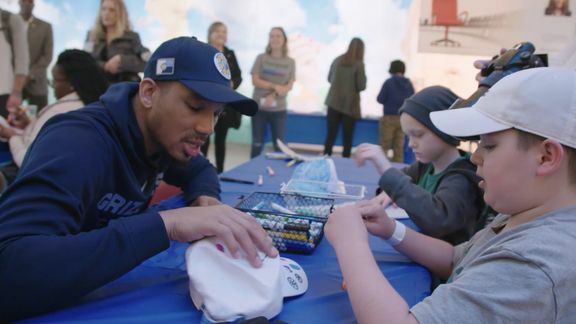 See what happened when Avery Bradley visited St. Jude Children’s Research Hospital to meet with patients and tour the facility. 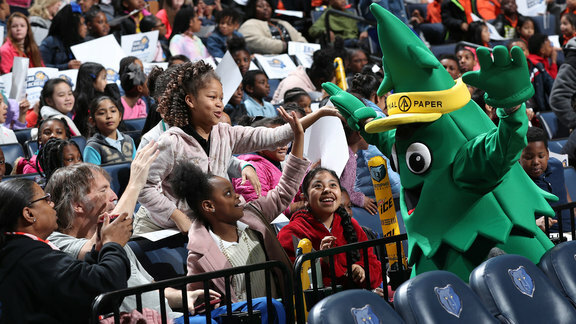 The Memphis Grizzlies hosted their Third Annual Girls Summit, in celebration of Women’s History Month, with a star-studded lineup of featured guests including NBA on TNT basketball analyst Ros Gold-Onwude, WNBA Atlanta Dream guard Renee Montgomery, USA Basketball’s Nina Davis, USA Rugby’s Naya Tapper, UFC and USA Wrestling’s Sarah McMann, former USA Ice Hockey strength coach Sarah CaHill and members of the Grizz Fam including Nikki Bickerstaff. 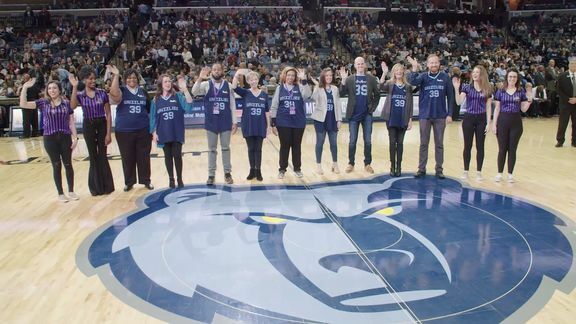 Meet Memphis Hustle Director of Business Operations, Makinzie Foos, as she outlines her role within the organization and what Women's History Month means to her as part of the Grizzlies ongoing Celebrate HERstory campaign. 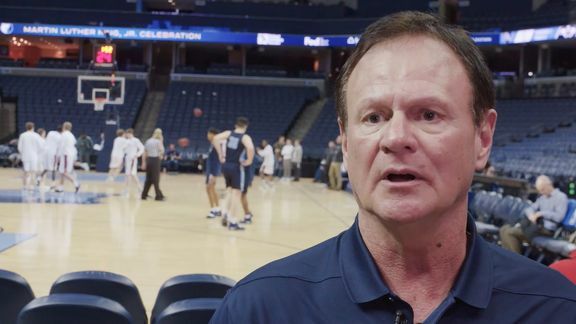 Watch Grizzlies Head Chef and Team Nutritionist Stephen McAfee as he showcases food preparation demonstrations for students and GrizzFit coaches. 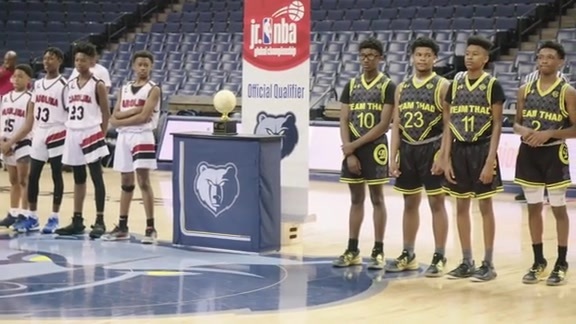 In addition, Grizzlies Head Coach J.B. Bickerstaff is on hand to assist and speak with the young scholars. 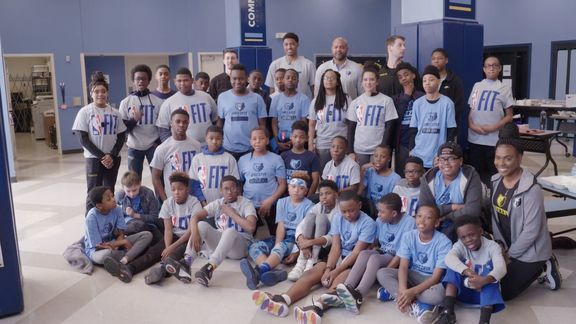 Check out all the action that took place during GrizzFit Bootcamp presented by Nike with Grizzlies players Delon Wright and Jonas Valanciunas who helped stress the importance of a healthy and active lifestyle. 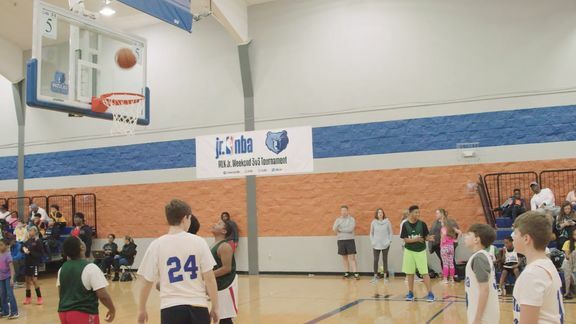 As a part of NBA FIT Week, Grizzlies Youth Basketball hosted its Spring Break Basketball Camp presented by Nike for kids ages 7-16 at Grace-St. Luke’s Episcopal School to encourage and promote nutrition, health and wellness to fans of all ages. 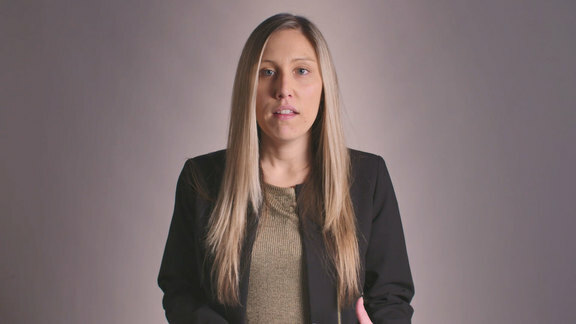 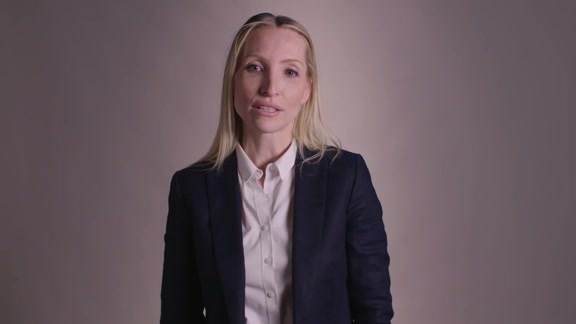 Meet our Vice President of Team Operations and Player Programs, Chantal Hassard, as she outlines her role within the organization and what Women's History Month means to her as part of the Grizzlies ongoing Celebrate HERstory campaign. 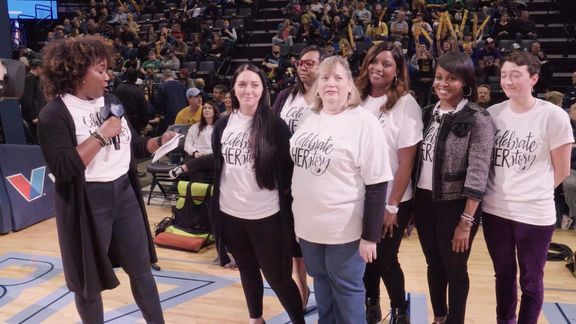 See what happened when the Memphis Grizzlies hosted an International Women’s Day game March 7 featuring an all-female entertainment lineup as the Grizzlies took on the Utah Jazz at FedExForum, as part of ongoing Women’s History Month celebrations. 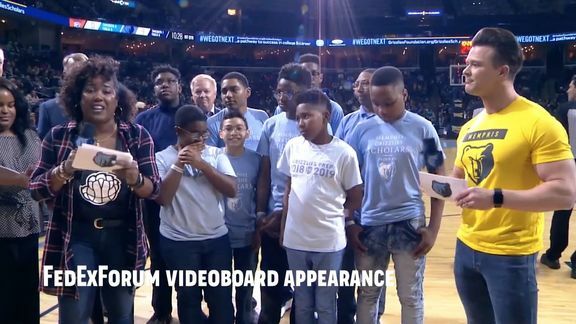 Take an inside look at the 2019 Read to Achieve Championship Celebration that took place at FedExForum featuring Dillon Brooks, International Paper and KPMG with 4,000 elementary students who successfully completed the Memphis Grizzlies annual Reading Challenge. 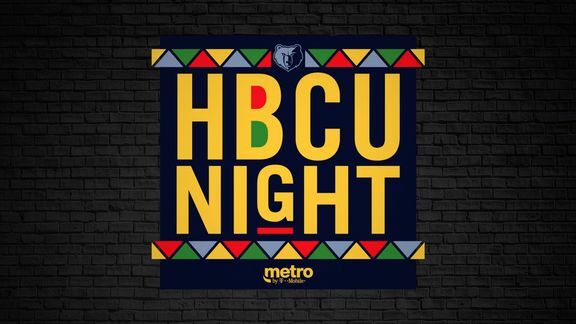 See what happened on February 22 when the Grizzlies hosted HBCU Night celebrating Black History Month as the team took on the Los Angeles Clippers. 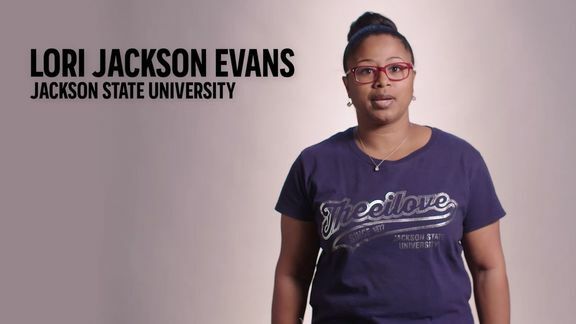 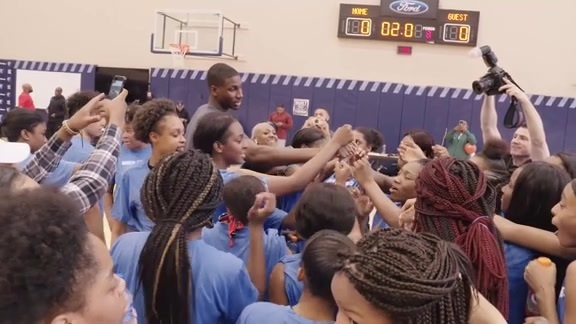 Local high school girls’ basketball teams were invited to an All-Girls Symposium hosted by Jaren Jackson Jr.
Grizzlies and Metro by T-Mobile, have partnered to contribute $1,000 to the scholarship fund of Jackson State University. 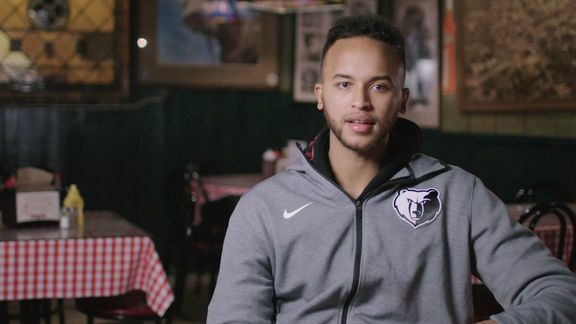 Grizzlies forward Kyle Anderson shares his thoughts on the importance of being a mentor in the community as part of January’s National Mentoring Month initiative. 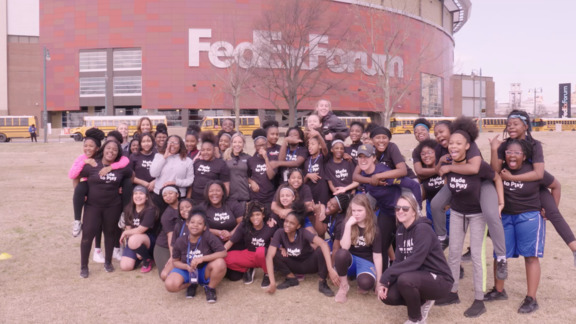 Local music teachers were treated to an exclusive Crown Royal tasting event at the Rock ‘n’ Soul Museum to celebrate Memphis music history. 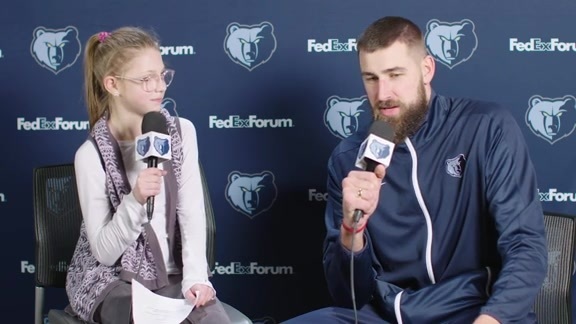 Hear what players and coaches of Pulaski Academy and BeeBe High School had to say about participating in the Grizzlies annual Martin Luther King Jr. High School Classic game Presented by Ashely HomeStore inside FedExForum on January 21, 2019. 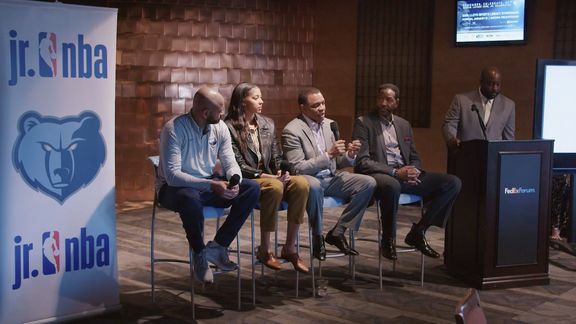 The Jr. NBA and Memphis Grizzlies are hosted a free Coaches Forum designed to empower coaches as leaders to create team cultures that embrace diversity and inclusion through partner presentations, interactive sessions, and a panel discussion. 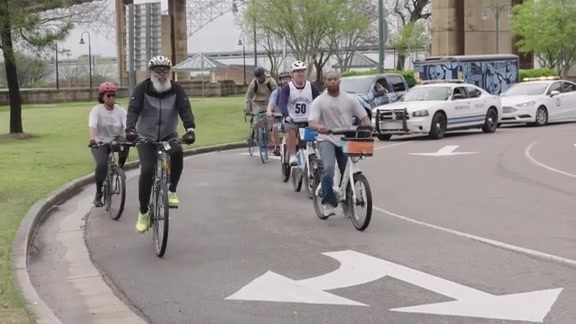 Take a look inside the MLK Jr. 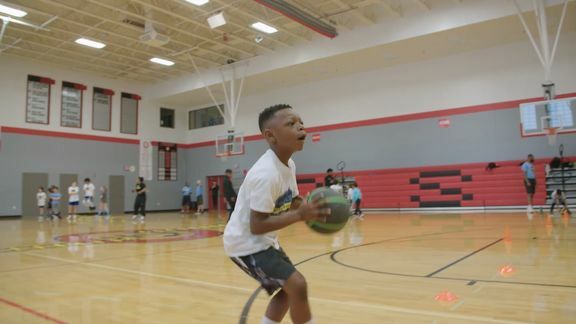 Weekend 3v3 Tournament featuring special guests Candace Parker, Lionel Hollins and more. 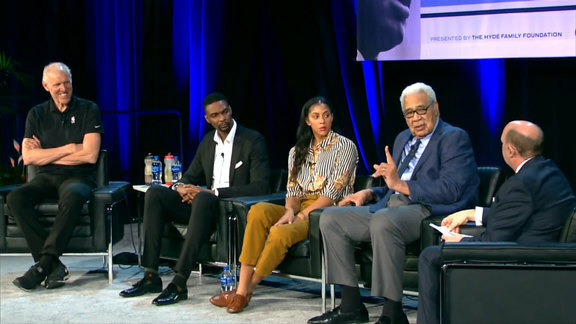 Watch Monday's full Earl Lloyd Sports Legacy Symposium that focused on the personal journeys of Memphis Grizzlies honorees Bill Walton, Chris Bosh, Candace Parker, and Wayne Embry prior to the Grizzlies' nationally televised home game against the New Orleans Pelicans on January 21. 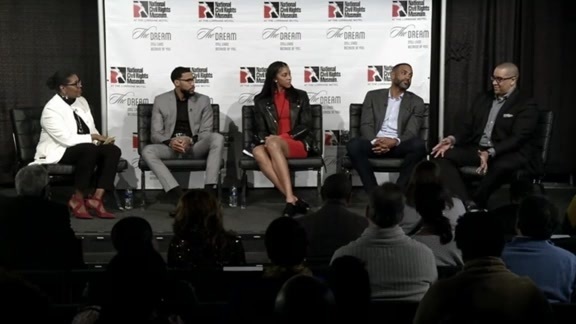 Watch Sunday's full MLK panel discussion focused on issues at the intersection of race and sports with guests Garrett Temple, Candace Parker, Terri Freeman, Grant Hill, and Marc Spears at the National Civil Rights Museum.